Campaign concept built around this iconic lifestyle store's brand name. Responsible for: concept, copywriting and art direction. Habitat has been synonymous with great furniture and homeware design since it was formed by Sir Terrence Conran in 1964. After mergers, buyouts and a particularly stormy period following the 2008 recession, the brand had started to lose its way. 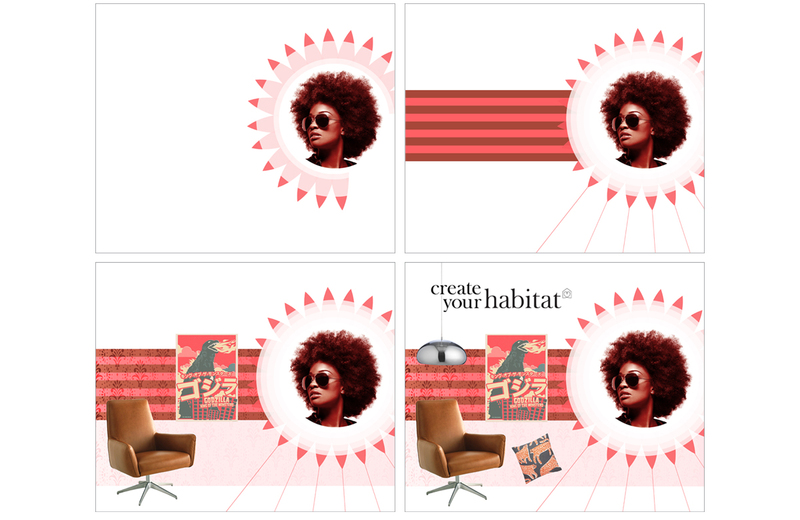 Now owned by Sainsbury’s and with just four full-sized stores in the UK, Habitat needed an impactful campaign that would make the brand attractive to young, fashionable homemakers. 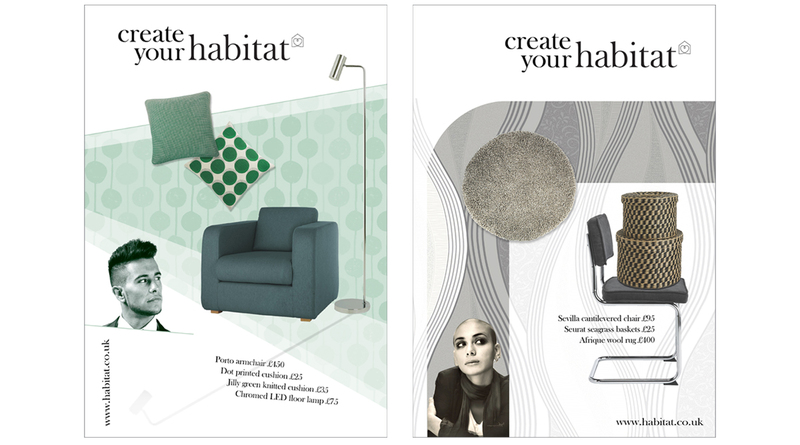 Color co-ordinated press, poster and web banner executions deliver the brand promise – that Habitat has all you need to ‘create your Habitat’ – whilst featuring a variety of product lines to help up-sell different complimentary items to achieve a particular home style.